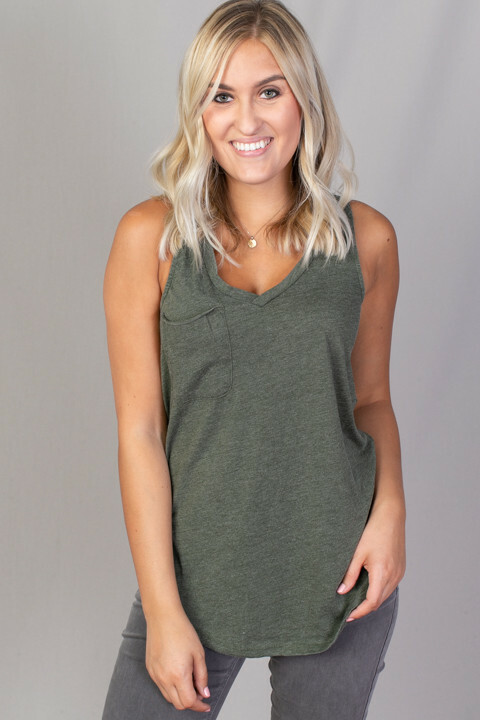 The Pocket Racer Tank Rosin is made from Z Supply's Signature Burnout Fabric and is a relaxed fitting top that easy to pair with just about anything. 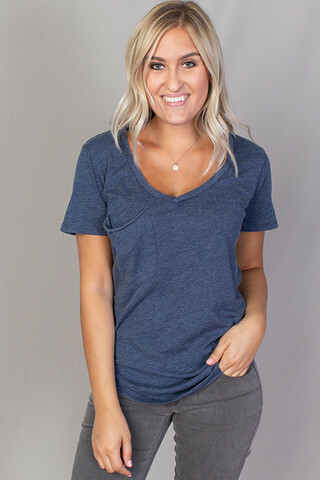 This v-neck has a front slouch pocket on the right side and a slightly curved hemline. 60% cotton and 40% polyester. Machine wash in cold water on the gentle cycle and hang to dry. Do not put in dryer. 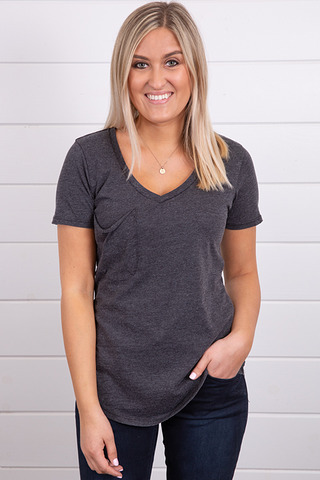 The Pocket Tee Black I.. The Cross Front Tee Dr..